Synopsis: After finally meeting his elusive father, Marcus, and receiving the three gifts that confirm him as a full adult witch, Nathan is still on the run. He needs to find his friend Gabriel and rescue Annalise, now a prisoner of the powerful Black witch Mercury. Most of all he needs to learn how to control his Gift – a strange, wild new power that threatens to overwhelm him. Review: So here we are, back for round two, this time there's more action, more magic and more of an intention. It feels like it is building up to something (#HalfLost anyone? ), and leaves you hanging for what's to come from the finale of the trilogy. First of all I just want to say I LOVE this cover. I think they've all been great in their styling and the flow and the whispneynesssss....and I think this one is my favorite so far, packing quite the visual punch. 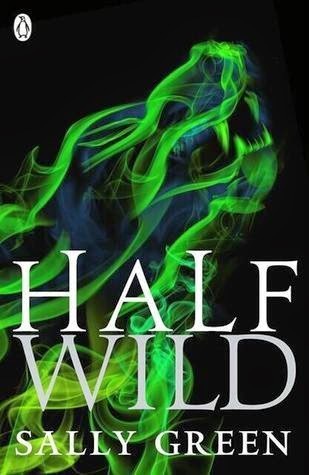 I do like how the title plays very well in to the theme of each book, and here we have the the concept of a wild nature and how not just Nathan but other characters such as Marcus and Mercury play into this. This makes Nathan that troubled character that seems to be pulling himself in all different directions, and looks at elements of human nature, how we see ourselves and others see us too. This helps to build a lot of the characters and the situations and was nice, but it felt like a lot of repetition. However I think the issue I think I have with this series is that I don't seem to relate with many of the characters except maybe Gabriel. I don't have anything against brooding ( I know I do enough of it myself) but I don't emote towards Nathan, and I think that's important when reading a book, especially when they're the main protagonist. So in a lot of ways that made me less involved, and the elements of quick pace, that at times really suits the book, helped me fly through the book, but it wasn't one that I was gripped to. That's not to say I don't think the book isn't good; there are some funny moments, I do like a lot of the characters ( like Marcus and Mercury... I actually would love to know more about their activities) and I think a lot of people have enjoyed this series and will enjoy this book. It steps things up. I couldn't help when reading to think about The Subtle Knife every time a cut was mentioned. and that’s probably an apt book to reference because the magic within the series feels subtle and I liked that. Its not bang out there in your face, but more added in as a part, or a character trait that just fits. That's why I think the idea of Gifts are great, and how they're tied to each characters personality. Nathan came into his Gift here and it will be good to see what he makes of that, and...well I can't tell you the and until you read the books, but I am interested to see what becomes of...that.